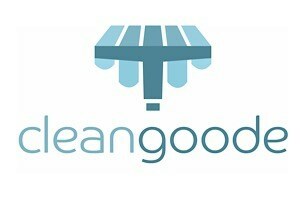 Clean Goode - Cleaning Services based in Colden Common, Hampshire. Clean Goode is a family run Window Cleaning business based in Winchester, Hampshire. We pride ourselves in providing a consistently reliable and professional service at a competitive rate. But don't just take our word for it, see what others have said about us in our reviews. We use the latest ‘reach & wash’ pure water system technology. This not only ensures maximum safety to us but also to your property. The water we use is 100% purified which significantly enhances its cleaning properties. A stream of plain H2O is an incredibly effective way to bring windows to a pristine state. The science behind the whole process is that the pure water molecules easily connect with any dirt that resides on the glass surfaces and dislodges it. Also on the plus side, this service is nature-friendly as no chemicals are involved in the process. This process leaves your windows and frames left looking spotless. We offer numerous services, such as the washing of uPVC, Cladding, Gutter’s, and Facia’s & Soffit’s, keeping your property maintained and looking at its very best. We use the same ‘reach and wash’ system we use for cleaning your windows. Making this again a ladder free operation. If you’re an existing customer we can offer you a generous discount for these services. This service keeps your Solar Panel warranty in tact, helps them produce the maximum electricity and importantly, saves you more money in the long-term. The Solar Energy Power Association notes that dirty solar panels can lose 20% of their energy output. The National Renewable Energy Laboratory puts that figure even higher, at 25%. Recent university research has shown that a dirty solar panel can lose 50% of it’s efficiency compared to a clean solar panel.